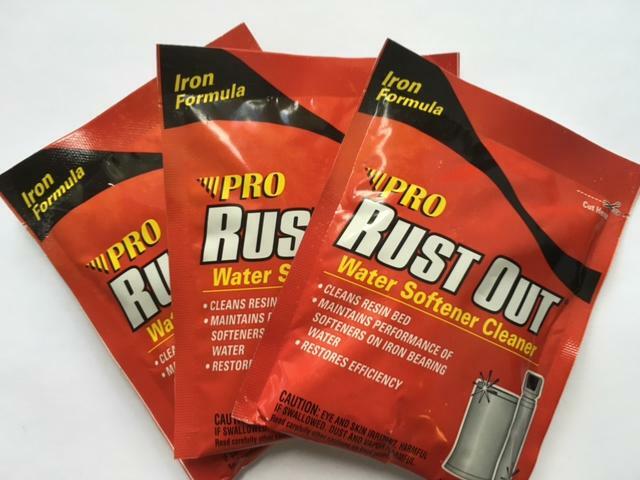 Rust Out helps maintain the performance of softeners on water containing iron. Sold on packs of 3 sachets. Rust Out chemically removes iron and rust build-up that coats the resin beds and fouls the softener. This iron build-up is not totally removed during normal regeneration of a water softener. 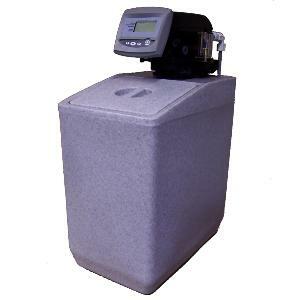 Using Rust Out in a water softener will eliminate rust and foreign matter from the resin bed. This process increases the life of the softener and reduces rust staining on household fixtures and other surfaces. This product should be used regularly as preventative maintenance to ensure the softening and recharging efficiency of the softener's resin bed.